At Solomon Associates, our goal is to help our client partners meet their long-term business objectives by helping them Identify, Engage, Attract and Retain high-performing sales and leadership talent. Underlying our data-driven talent acquisition process is a deep understanding of your organisation’s objectives and needs, which we translate into real-world results. Our years of experience have taught us the best practices when it comes to recruiting sales leaders. When it comes to building a top-performing sales team, the best strategy is underpinned by gathering reliable data before, during, and after hiring. Throughout the recruiting process, you can use this valuable information to your advantage by interpreting it in a meaningful way and then acting on it. This approach can be broken down into three steps: Aquire, Analyse, and Act. The following are eight tips that demonstrate how you can harness the power of reliable data to hire high-performing sales talent for your company. 1. Use business goals and requirements to define the perfect candidate. Whether you are a start-up or an established multinational firm with years of experience, every success story begins with defining exactly what your organisation is setting out to do. With these goals in mind, develop a profile of the ideal candidate. The traits and skills you’re looking for should all be clearly outlined in the job description you provide to recruiters or job boards. 2. Have a sound strategy. There are a number of studies out there that show exactly what goes into building a successful sales team. For example, one survey in Harvard Business Review found that 50% of high-performing sales organisations utilise formal sales structures. Draw from research data and your own experiences whilst developing a recruitment, retention, and sales strategy. Use what you know to determine workforce need and allocate resources. 3. Set the pay level and develop a compensation package. If you want to hire the best sales talent, you have to know how they think. You might be surprised to learn that money isn’t everything when it comes to attracting over-performers. Over 80% of them indicate that being respected and recognised is very important to them. Of course, the money helps too—66% top sales professionals are money motivated. It’s only natural given their line of work. Offer a compensation package that recognizes & rewards success. Remember, an investment in top talent is the best investment you can make, so the extra effort that goes into creating a great rewards package is effort well-spent. 4. Use a multichannel approach to build your talent pool. With the growth of social media and the move away from traditional sources of candidates, organizations now need to employ a Multichannel route to market to build their talent pools. According to a 2016 recruitment marketing survey by the Aberdeen Group, “best-in-class” organisations are 32% more likely to use social media and other social tools to connect with candidates. Also, don’t forget the value of referrals and recognise the value of networking. Did you hire a great candidate? Ask them if they know anyone and offer incentives if they send other high-performers your way. As they say, you are the company you keep! 5. Employ a strategic interview process. High-performers are in high demand. If you want the best sales professionals, you are going to have to put in the effort to source them from a limited and often hidden talent pool whereby the best candidates are difficult to differentiate. The key to doing so is to employ a rigorous screening process that filters out less-qualified individuals early. Use phone interviews to pre-qualify applicants and hold interviews that allow candidates to demonstrate proficiency in the skills you want. 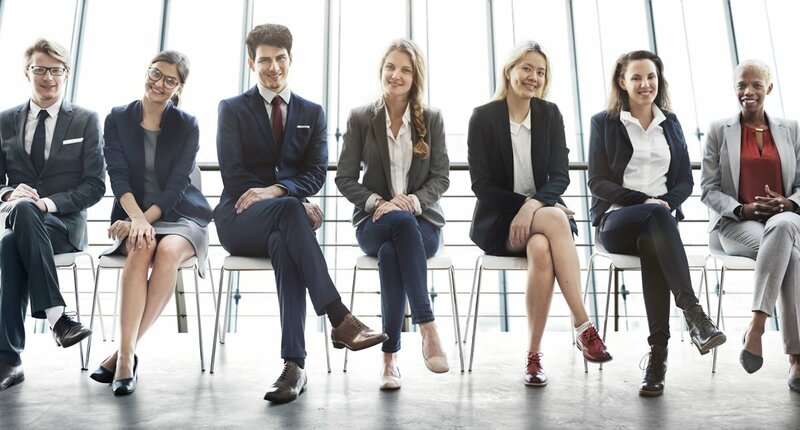 Bringing in more than one person to conduct the interview, especially when one of those people will be directly working with the new hire, is a great way to get multiple perspectives on an applicant’s suitability. Once you have an interview process that works, stick with it, but be open to change if you see a way to further improve the process. In keeping with the theme discussed above, one great tool at your disposal is the sales assessment test. These personality tests fill in the gaps of a resume and take the guesswork out of the hiring process. Using them will ensure your decision is backed by real data and exhaustive research. The data you gather can be used to identify and develop top sales performers—and filter out those who wouldn’t be a good fit. 7. Make training a priority. High-performers are almost universally goal and career focused. You can use this attribute to your advantage by offering paid training programs and mentorships. Reward employees by sponsoring trips to sales-related conferences or courses. Not only does this benefit your employees by giving them the chance to develop valuable sales skills, it benefits your company as they’ll use those skills to become even better at their jobs. The hiring process doesn’t end when you extend an offer. Once you’ve found a top performer, you need to follow up. This means crafting an effective organisational socialisation procedure. Onboarding should acclimate new employees to the company environment and give them the opportunity to fill in any knowledge gaps. All phases of the onboarding process are absolutely critical—a misstep here is very costly to all involved parties. We recognise this, and there’s a reason why an impressive 93% candidates engaged through Solomon Associates contribute to their employees for two years or more! Acquiring reliable data and using it to great effect is how you build and develop a motivated and effective sales team. Soloman Associates is a trusted retained Executive Talent Advisory and Consulting firm that uses a proven methodology to Identify, Engage, Attract & Retain the sales leaders that drive your business. To take your business to the next level, contact Soloman Associates today.